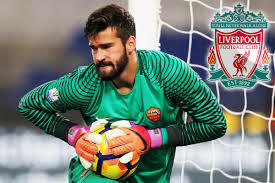 Liverpool made the Brazil number one the most expensive goalkeeper when they agreed a deal with Roma last month worth up to £66.8m (72.5m euros). Midfielder Milner left the field in the second half after an accidental clash of heads with Mario Rui. Frankly speaking , Alisson had little to do but he was solid when he was called into action. The 25-year-old's was impressive, along with his commanding presence and ability to deal with Napoli's corners. We hope to see more impressive performance in future and we wish him good luck in his new club.